View More In Gravy Boats. 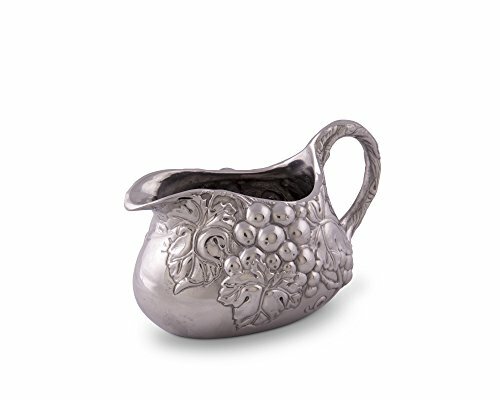 Intrigue your guests with the unique design of this Grape Gravy Boat from Arthur Court. Holds 25 ounces or 750mlArthur Court's grape motif displays on each side of this piece as darker lines define each veiny leaf and piece of fruit. Vines also twirl into view on the bottom of this handmade, aluminum boat before arching up to form the handle. If you have any questions about this product by Arthur Court, contact us by completing and submitting the form below. If you are looking for a specif part number, please include it with your message.